A system that works smarter. Our AccuComfort™ Variable Speed Platinum 20 Air Conditioner comes with AccuComfort™ technology that allows the system to consistently adjust to run at a more efficient speed to maintain your personal level of comfort. Plus, with up to a 22.00 SEER rating, this A/C system is one of the most efficient multi-stage cooling units on the market. Maximize your home comfort with this AccuComfort ™ variable-speed air conditioner that works smarter to lower the operating cost. Experience this AccuComfort ™ unit that has a wider operating range to allow the system to remain operating when the competition’s products are cycling on and off. Get the comfort you set with AccuComfort ™ technology that is consistent with a ½ degree in 1/10th of 1% increments. Discover the advantage of owning this system available with lower compressor modulation and fan speeds yield amazingly low sound levels and max out the benefits of AccuClean ™ technology. 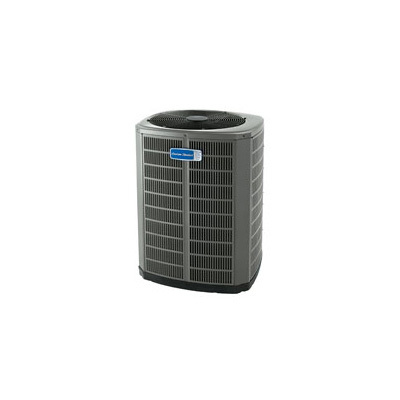 Receive dependable comfort for years to come with an A/C system that is built with quality materials, innovative features, & durable construction.